We don’t do financial planning here at Hackaday, so we won’t weigh in on the viability of making money mining cryptocurrency in such a volatile market. But we will say that if you’re going to build a machine to hammer away at generating Magical Internet Monies, you might as well make it cool. Even if you don’t turn a profit, at least you’ll have something interesting to look at while you weep over your electricity bill. Sick of seeing the desktop machine he built a decade ago gathering dust, [plaggle24w5] decided to use it as the base for a cryptocurrency mining rig. Of course, none of the original internals would do him any good, but the case itself ended up being a useful base to expand on. 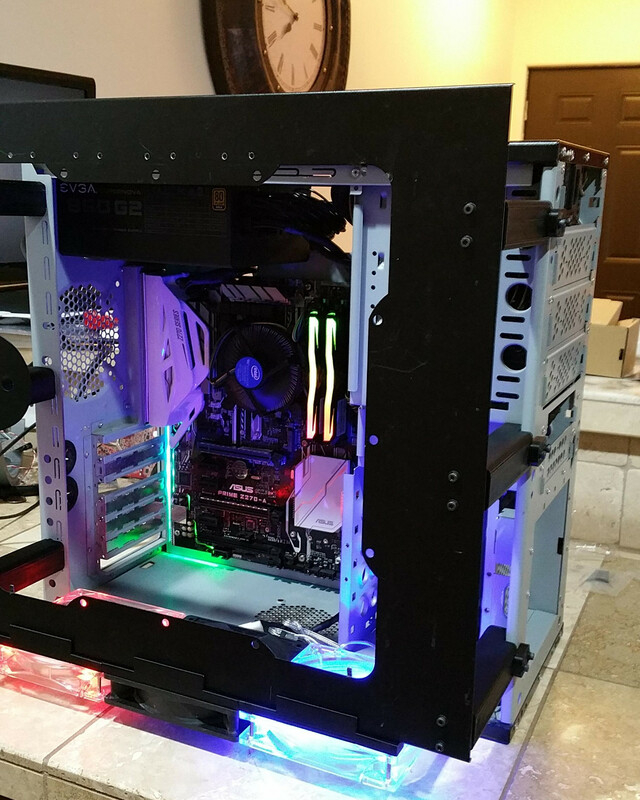 With the addition of some 3D printed components, he stretched out the case and installed an array of video cards. To start with, all the original plastic was ripped off, leaving just the bare steel case. He then jammed a second power supply into the original optical drive bays to provide the extra power those thirsty GPUs would soon be sucking down. He then designed some 3D printed arms which would push out the side panel of the case far enough that he could mount the video cards vertically alongside the case. Three case fans were then added to the bottom to blow air through the cards. Mining Bitcoin on desktop computers might be a distant memory, but the latest crop of cryptocurrencies are (for now) giving new players a chance to relive those heady early days. We get a lot of new product announcements here at Hackaday, and we run across even more. As excited as a manufacturer might be about their latest Raspberry Pi killer or cheaper Arduino clone, we usually don’t have much to say about new products unless there is something really interesting about them. Our attention was piqued though when we saw the Neutis N5. Shipping in April, the device packs a quad-core ARM processor running at 1.3 GHz with 8 GB of flash memory and 512 MB of RAM, has an extended temperature range, WiFi (802.11N), and Bluetooth (including BLE). There’s also a crypto chip, and all this is packed into a tiny package. Really tiny. Less than 41×30 mm square and less than 4.5 mm thick. There’s a Debian-based distribution and a development board. Oh and the really interesting thing is the price, which is $49 in single quantities. Some of the I/O ports are multiplexed, but there are plenty of options including audio, Ethernet, HDMI, USB, and more. They clearly mean for these to be put into products. The module claims UL and CE certification, each unit has a unique serial number, and there is a gang programming capability. My dog Jasper isn’t much of a watchdog: he’s too interested in sleeping and chasing my cats to keep an eye on things. Fortunately, [Vadim] has come up with a more reliable alternative with this simple Arduino watchdog. It’s designed to work with crypto coin mining rigs, but it could be easily adapted for other high-uptime uses, such as file servers or doomsday weapons. What is it about a computer that was introduced 36 years ago by a company that would be defunct 12 years later that engenders such passion that people still collect it to this day? We’re talking about the Commodore 64, of course, the iconic 8-bit wonder that along with the other offerings from Commodore International served as the first real computer to millions of us. There’s more to the passion that Commodore aficionados exhibit than just plain nostalgia, though, and a new documentary film, The Commodore Story, seeks to explore both the meteoric rise and fall of Commodore International. Judging from the official trailer below, this is a film anyone with the slightest interest in Commodore is not going to want to miss. It will of course dive into the story of how the C64 came to be the best selling computer in history. But Commodore was far from a one-trick pony. The film traces the history of all the Commodore machines, from the PET computers right through to the Amiga. There are interviews with the key players, too, including our own Bil Herd. Bil was a hardware engineer at Commodore, designing several machines while there. 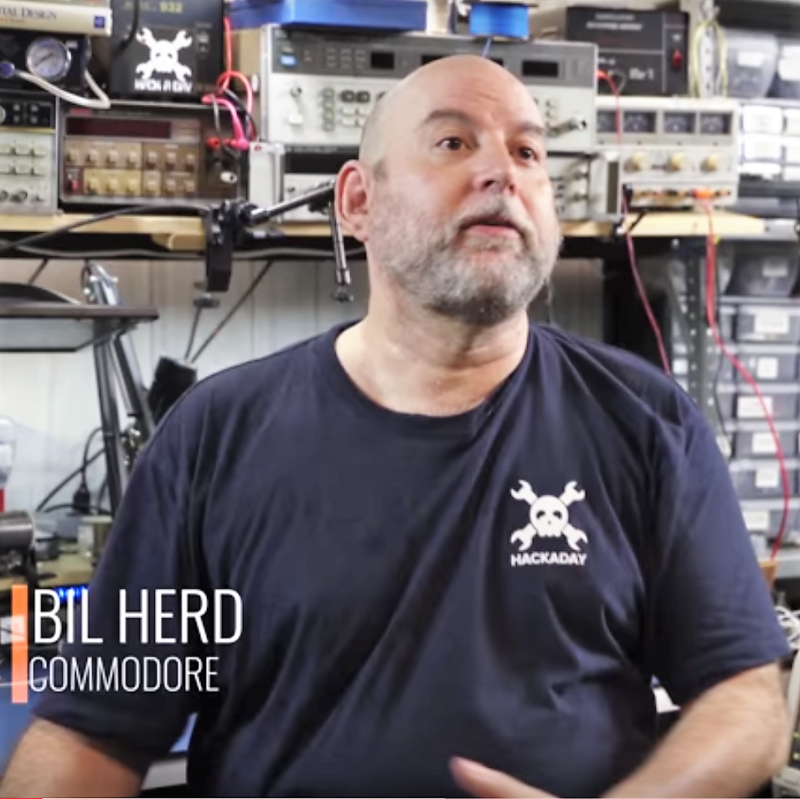 He has shared some of these stories here on Hackaday, including the development of the C128 (successor to the C64) and making the C64 speak. 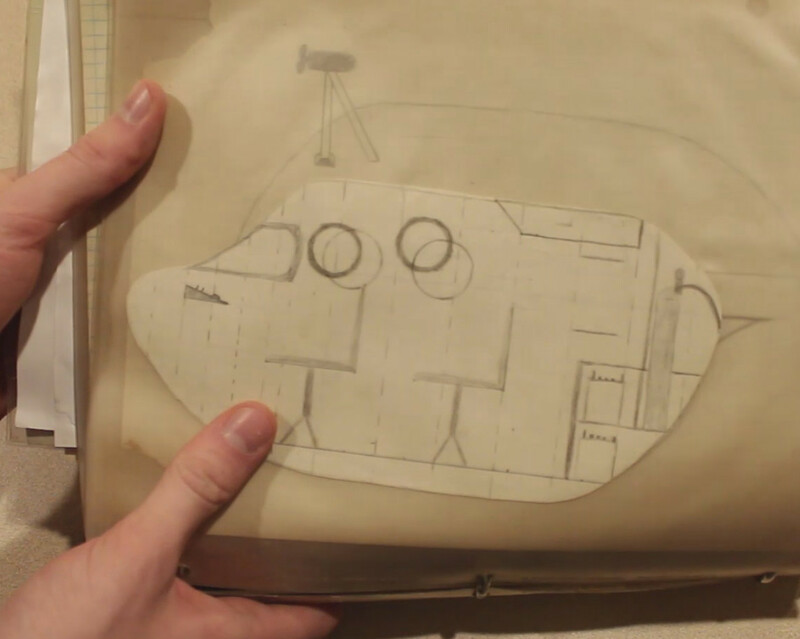 We can’t wait to watch this new documentary and luckily we won’t have to. It’s set to start streaming on Netflix, Amazon, and iTunes today, so pop up some popcorn and settle in for a two-hour ride through computer history but right now we’re unable to get firm dates on when. However, those of you in the Mountain View area have an even better opportunity this evening. The Commodore Story will be premiered live at 6:30pm PST at the Computer History Museum. Grab your tickets to the premiere and a Q&A session with Bil Herd, Leonard Tramiel, and Hedley Davis.